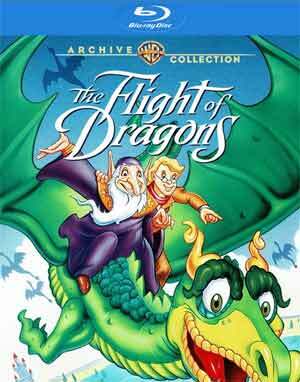 The Flight of Dragons is an animated film that I actually had never heard nor ever recall seeing even as a kid back in the 1980s (though it is entirely possible I had back in elementary, just don’t remember). As it is today, it’s a delightful and fun fantasy adventure that is great for the whole family. 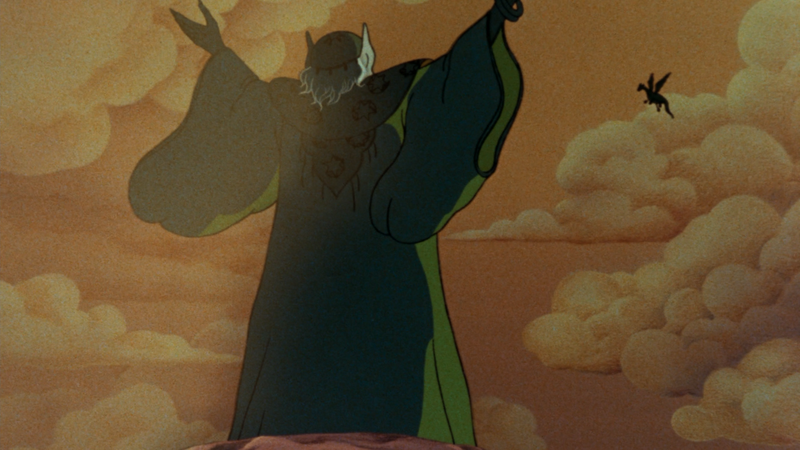 The sinister Red Wizard Ommadon (JAMES EARL JONES) threatens to destroy nature. The world’s hope is a man of science and magic from the future: Peter (JOHN RITTER) was snatched from the 20th century by the Green Wizard Carolinus (HARRY MORGAN) to capture Ommadon’s empowering Red Crown. With a fire-breathing dragon, an outlaw elf and a noble knight as comrades-in-arms, Peter applies modern-day logic to battling ages-old evil. The only feature is the Standard Definition Television Version which is a few minutes shorter than the theatrical version. 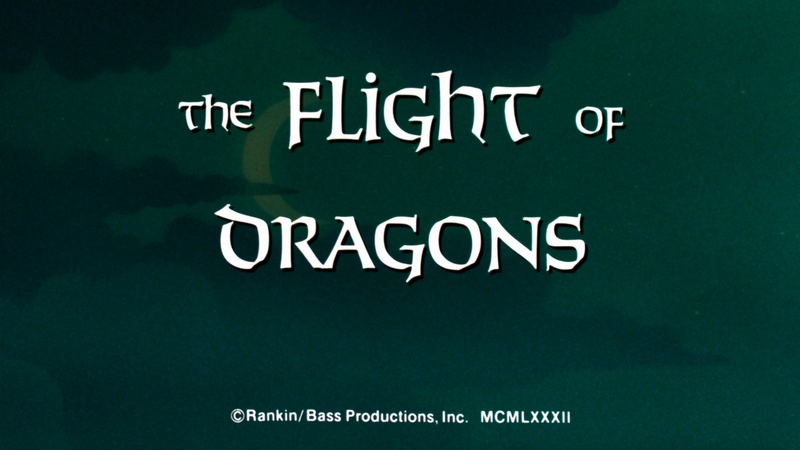 The Flight of Dragons flies onto Blu-ray through Warner’s MOD Archive Collection and given a new 1080p high-definition transfer, presented in its original 1.78 widescreen aspect ratio. For the most part this is an impressive looking picture with some vibrant colors. It’s clean, free of any noticeable artifacting, aliasing or even dusts marks or dirt. Considering the film was released back in 1982, it is rather well maintained even if some of the animation is on the cruder side. The disc includes a basic but effective DTS-HD Master Audio 2.0 Mono track and the output from the center channel is decent bolstering the dialogue levels with good clarity and even the effects showcased some minor depth. 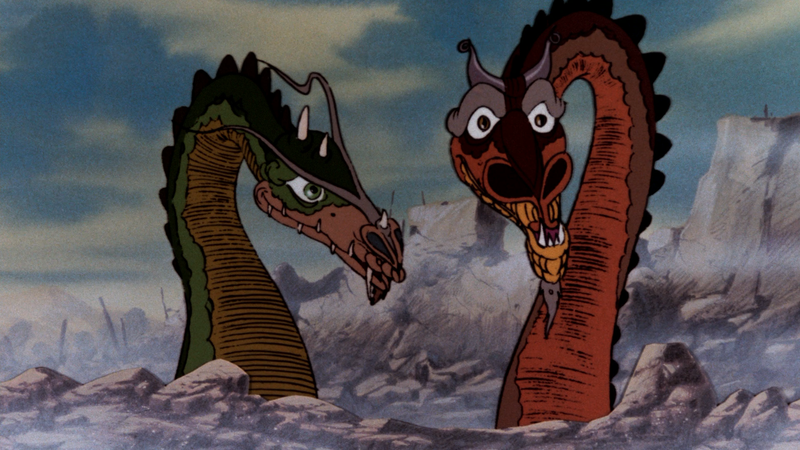 Overall, The Flight of Dragons is an animated film that I actually had never heard nor ever recall seeing even as a kid back in the 1980s (though it is entirely possible I had back in elementary, just don’t remember). As it is today, it’s a delightful and fun fantasy adventure that is great for the whole family, though the animation isn’t always the best at times. The Blu-ray released by Warner’s Archive Collection offers up good video/audio transfers but is lackluster in the features department.